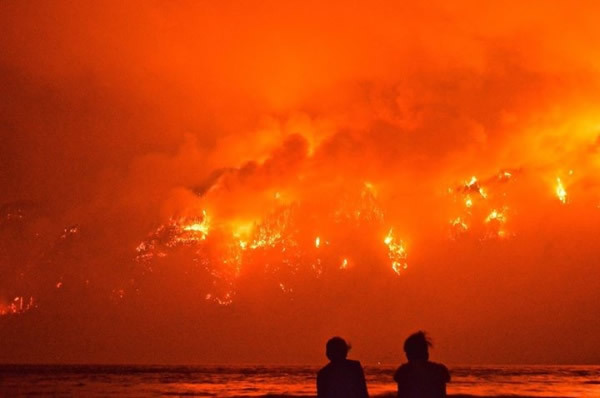 A fast-moving wildfire chewing through Oregon's forestland is threatening more than homes and people - it is also devouring the beloved Columbia Gorge, the heart of the state's nature-loving identity. 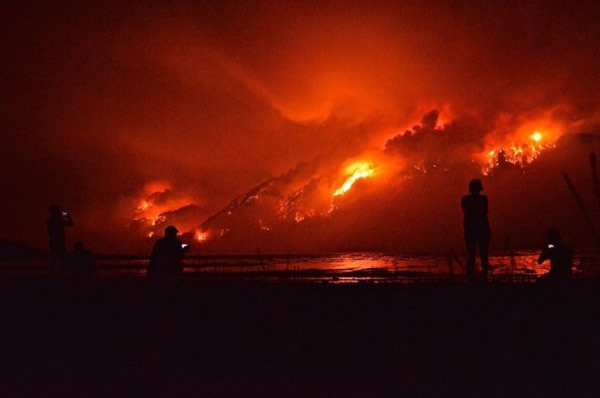 TROUTDALE, Ore. -- A fast-moving wildfire chewing through Oregon's forestland is threatening more than homes and people. It's also devouring the beloved Columbia Gorge, the heart of the state's nature-loving identity. The federally protected scenic area holds North America's largest concentration of waterfalls and is home to 800 wildflower species. Sixteen of the wildflower species are not found anywhere else. The home of the mighty Columbia River attracts more than 3 million tourists each year. It is beloved by Oregonians, who flock to it in the summer. The blaze is now more than 50 square miles. A wildfire is seen burning in Oregon on Wednesday, September 6, 2017. It has forced the evacuation of hundreds of homes and closed a 30-mile stretch of Interstate 84. Authorities say it was started by a boy who set off fireworks in the forest.